What can you do these days without proper identification? To Secure Early Real Identification. To promote awareness and build Integrity. To Create Responsibility and Accountability. To Safeguard Pre-teens and teenager's future. To Be Easily Identified and/or Located in Cases of Emergencies and Much More. Mitchell's Driver Training School encourages all corporations, business entities and communities to support the youth by supporting the I.D. W.I.S.E Campaign and get children prepped and ready for future identification requirements. The Key is early intervention! However, we value the practice of inclusion for all regardless of race, religion, gender, age or economic circumstance. Our mission compels us to find ways to remove transportation or income as a barrier and provide children and families in need with quality services in obtaining state identification, that encourages positive growth and development in youth and advocates community building and social responsibility. That's why we work hard to raise funds through our Campaign I.D. W.I.S.E so that we may be able to provide financial assistance for those families who can't otherwise afford, or have means of transportation and/or both to get state issued identification. 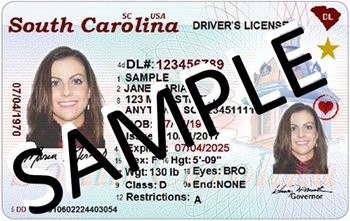 Help Get someone their ID today ! Obtaining certain kinds of services. To get into buildings where hearings in shelter and public benefit cases are held. Limits places of entry or services.